Much of our time spent here at Automobile Magazine focuses on vehicles with four wheels, but one less couldn’t hurt, right? When the vehicle is a hand-built 2013 Morgan 3 Wheeler, it most certainly could not. 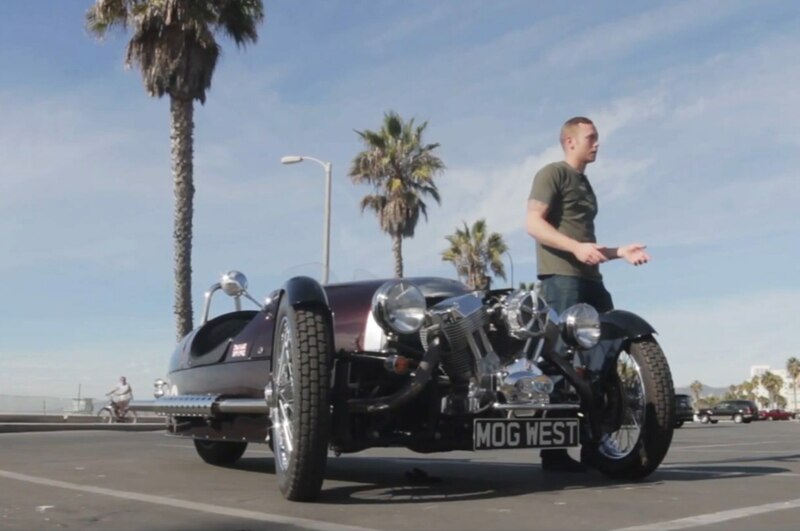 Road test editor Chris Nelson had the chance to get behind the wheel of this British blast from the past, commandeering the Morgan 3 Wheeler through the winding roads of Laurel Canyon, California. Starting off with a bit of history, Nelson explains the Morgan 3 Wheeler’s place in the auto landscape of the 1920s, when motorcycles were significantly cheaper to own than cars. Looking at where the two markets stand in today’s landscape, not much has changed—and neither has the modern Morgan 3 Wheeler. Other than a few modern amenities and a tubular steel cage, the 2013 Morgan 3 Wheeler uses essentially the same formula as its 20th century ancestor. Above all, the Morgan drives and feels like a motorcycle, with eager, visceral feedback along with an intoxicating, thunderous noise. Sourced from Harley-Davidson tuner S&S, the Morgan’s 2.0-liter 115-hp air-cooled V-2 engine provides more than enough muscle—125 lb-ft of torque—to make the 3 Wheeler as quick as it is roaring and thunderous. To the joy of many an automotive enthusiast, that power is mated to a five-speed Mazda Miata manual transmission, which is as light, simple, and engaging as ever. The Morgan 3 Wheeler is on sale in the U.S., classified as a motorcycle, for an estimated $52,000. Be sure to check out the full video below for the full experience of this handmade throwback classic from Malvern, England-based Morgan Motor Company.